Our selection of flush mount lighting features a wide selection of both flush and semi-flush pieces. 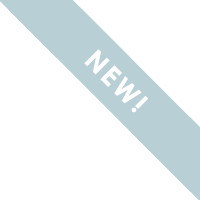 Created to provide wide and general illumination in any room of your house, flush mounts are great choices for high traffic areas as well as rooms with lower ceilings. With a wide array of choices, flush mounts are incredibly versatile and can be used in both formal and casual settings. 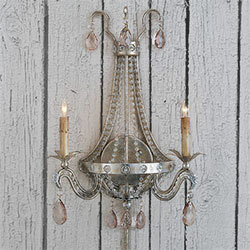 Currey & Company Lighting Bramshill Flush Mount Known for light fixtures and home furnishings designed with attention to detail and artfully crafted finishes, Currey & Company lighting and furniture hints at styles inspired from European antiques combined with a sophisticated, modern elegance perfect for today's home. 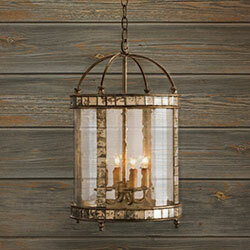 This shallow flush mount is large in size and features four interlocking rings in rustic gold. Currey & Company Lighting Huntsman Semi-Flush Mount Known for light fixtures and home furnishings designed with attention to detail and artfully crafted finishes, Currey & Company lighting and furniture hints at styles inspired from European antiques combined with a sophisticated, modern elegance perfect for today's home. The narrow circular silhouette of the Huntsman Semi-Flush Mount Chandelier is finished in two-tone black and brass with X accents. Currey & Company Lighting Babington Flush Mount Known for light fixtures and home furnishings designed with attention to detail and artfully crafted finishes, Currey & Company lighting and furniture hints at styles inspired from European antiques combined with a sophisticated, modern elegance perfect for today's home. The traditional shape of the Babington Flush Mount is made distinctive by antique brass accents and hardware as well as a milk glass diffuser. Currey & Company Lighting Stargazer Semi-Flush Mount Known for light fixtures and home furnishings designed with attention to detail and artfully crafted finishes, Currey & Company lighting and furniture hints at styles inspired from European antiques combined with a sophisticated, modern elegance perfect for today's home. The distinctive star shape of the Stargazer Semi-Flush Mount is a geometrical tour de force featuring an antique finish on raj mirror. Currey & Company Lighting Bastian Semi-Flush Mount Known for light fixtures and home furnishings designed with attention to detail and artfully crafted finishes, Currey & Company lighting and furniture hints at styles inspired from European antiques combined with a sophisticated, modern elegance perfect for today's home. At once featuring strong geometric lines and bold curvatures, the Bastian Semi-Flush Mount is made of chestnut-finished wood with brass accents. Currey & Company Lighting Antibes Flush Mount Known for light fixtures and home furnishings designed with attention to detail and artfully crafted finishes, Currey & Company lighting and furniture hints at styles inspired from European antiques combined with a sophisticated, modern elegance perfect for today's home. 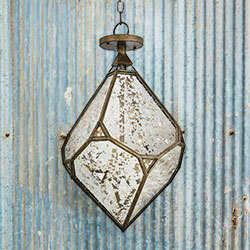 Like our Antibes Chandelier, the Antibes Flush Mount expertly uses woven rattan to create its geometric form. Currey & Company Lighting Go-Go Flush Mount Known for light fixtures and home furnishings designed with attention to detail and artfully crafted finishes, Currey & Company lighting and furniture hints at styles inspired from European antiques combined with a sophisticated, modern elegance perfect for today's home. This Mid-Century flush mount features a frosted glass diffusers slotted between two sheets of wrought iron finished in Brass. Currey & Company Lighting The Compeer Flush Mount Known for light fixtures and home furnishings designed with attention to detail and artfully crafted finishes, Currey & Company lighting and furniture hints at styles inspired from European antiques combined with a sophisticated, modern elegance perfect for today's home. A simple and refined piece, the Compeer Flush Mount features a crisp Milk Glass diffuser, whose four hooks and frame are finished in classic Brass. Currey & Company Lighting Gateau Flush Mount Known for light fixtures and home furnishings designed with attention to detail and artfully crafted finishes, Currey & Company lighting and furniture hints at styles inspired from European antiques combined with a sophisticated, modern elegance perfect for today's home. Currey & Company Lighting Braithwell Flush Mount Known for light fixtures and home furnishings designed with attention to detail and artfully crafted finishes, Currey & Company lighting and furniture hints at styles inspired from European antiques combined with a sophisticated, modern elegance perfect for today's home.